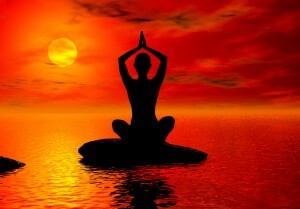 Yoga is an art form wherein the body, mind, and soul are interconnected and act as one. There are many reasons why people practice yoga, but the effect it has on the body, mind, and soul is the same. There are different types of alternative yoga classes available in Singapore. This is a type of yoga performed on a Stand Up Paddle (SUP) board, which is generally longer than the average surfboard. Since it is longer, performing the yoga poses is much easier. SUP yoga is ideal for all levels, even beginners. If you are looking forward to having a new yoga experience this weekend, you should try this one. You will definitely love the wonderful feeling of doing different poses on water. In this type of yoga, a hammock-like trapeze supports your body while you perform nimble yoga poses. Such innovative contraption relieves compressed joints and alleviates pressure on the back. Yoga practitioners of all levels can try floating yoga. However, it is recommended that you do exercise for a few weeks before you get yourself into this. This type of yoga is somewhat similar to most hot yoga sessions. Every session is conducted on a specially manufactured granite slabs, and the room is heated between 39 to 41 degrees. Ganban yoga is very good for yoga practitioners at the beginners’ level, as well as those who want a slightly less intense workout. In AcroYoga, you are like an acrobat performing acrobatics and yoga at the same time. There are three main roles in this type—the base, the flyer, and the spotter. AcroYoga requires trust, technique, strength, and practice. All yoga practitioners are encouraged to try this type of yoga at least once in their life.